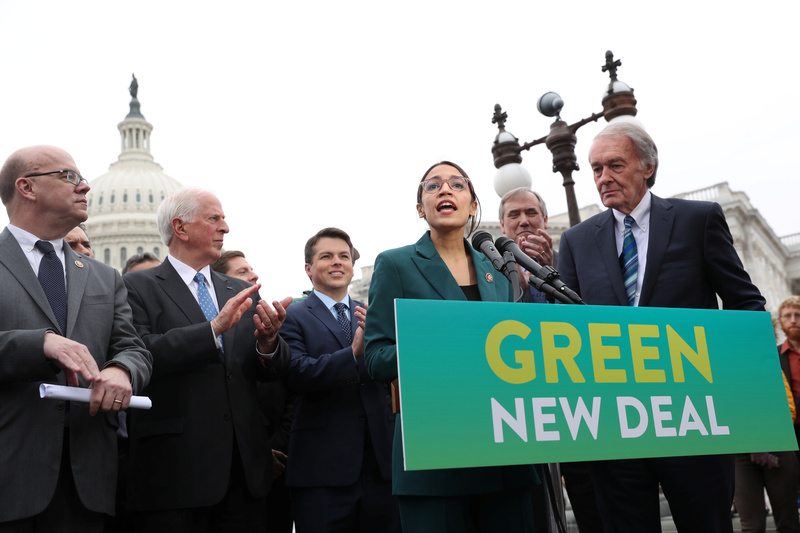 So-called modern monetary theory might be gaining respectability, after the radical approach was touted along with a huge “Green New Deal” by U.S. Democrats. Mainstream economists are fighting back. The debate, riddled with politics, hinges on at least five questions. U.S. Representative Alexandria Ocasio-Cortez (D-NY) and Senator Ed Markey (D-MA) hold a news conference for their proposed "Green New Deal" to achieve net-zero greenhouse gas emissions in 10 years, at the U.S. Capitol in Washington, U.S. February 7, 2019. Reuters: Democrats' Twitter war: Should U.S. borrow a lot, or a whole lot?